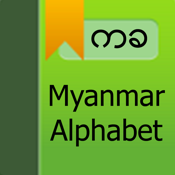 1) You can learn beautiful 33 Myanmar consonants. 2) Include all sounds(consonants and words). 4) and learn the basic words.